7 lessons from my first week in Costa Rica – Where in the world is Kelly? My first week in Costa Rica has gone by gently. I spent the first four nights in San Jose to get acclimated and do some sight-seeing, with mixed success. Four days ago, I made my way to Cabuya, a small town at the border with Cabo Blanco National Park, and this is where I’ll stay until the end of June. The layover in Fort Lauderdale was a tight one: just 30 minutes. As tends to happen in these situations, I was in the most inconvenient place: the very last row of the plane. I stayed calm while a hundred other passengers collected their bags and corralled their children with agonizing slowness. Luckily, I made it off the plane and to the next flight while the second flight’s boarding process while still underway. Whew! Passport and boarding documents in hand, I cleared the ticket-check and made it onto the gangway. It was there that the immigration official intercepted me. There were three of them, all US citizens, stopping boarding passengers for a brief interrogation. “Ma’am, step this way, please,” he said while looking right at me. I did as I was told. He took all of the documents, passport included, from my hands and studied them closely. He asked me to recite my name and birthday, then asked a host of questions like “Where are you going in Costa Rica?” “What are you doing there?” “How long will you be there?” I answered with partial honesty–I felt that saying I would be volunteering for three months would lead to unnecessary complications. Instead, I said that I would be backpacking on the west coast for a couple months. This is at least close to the truth. He then asked for proof of onward travel. Fortunately, I had read about this requirement on other travel blogs and had booked a “fake” ticket for a return flight in May as a precaution. I say “fake” because I booked it before boarding and canceled it for free once I had cleared customs. I have a “real” flight booked for July 2nd, but that is 97 days from my day of entry and the maximum visa allowance is 90 days. In that moment on the gangway, with the immigration officer deciding whether or not he would let me board the plane, I was very thankful to have my “fake” ticket. Customs and immigration once in Costa Rica wasn’t so bad, but I would advise anyone coming here for more than the 90-day visa allowance to be on your toes. 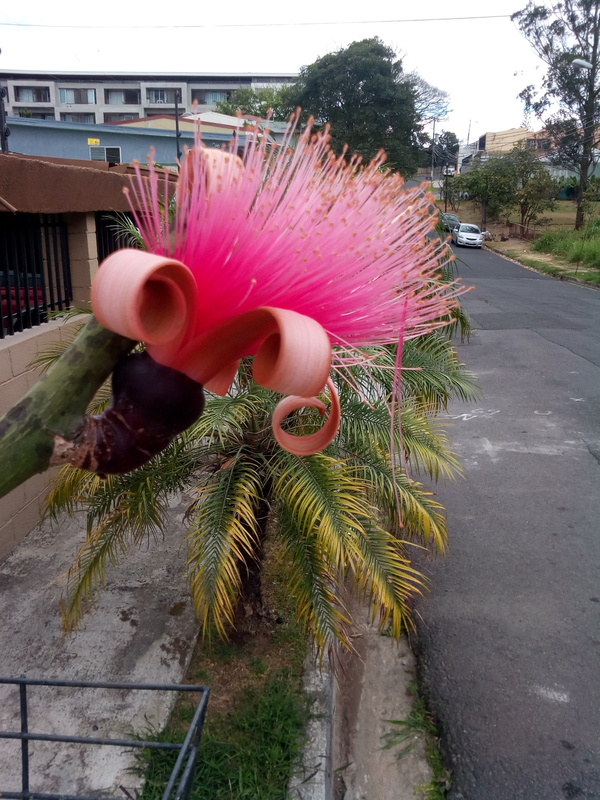 Gorgeous flora awaits at every turn, including these amazing flowers that were growing all over the neighborhood I stayed in in San Jose. 2. Any effort to speak Spanish is appreciated. Cumulatively, I have over seven years of Spanish study under my belt. But in this instance, it is best to not to conflate qualifications with competence. My Spanish is bad. Very bad. But it does get better every day! I’ve been able to practice with fellow passengers on the plane, Uber drivers, waitresses, the resident chef at Wild Sun, and more. Thus far, people are patient and allow me time to grasp for words, but they also have no problem with telling me (in Spanish) “I have no idea what you’re trying to say.” Google Translate is a huge help, as is the ability to smile and talk with my hands. I’m going to look into taking formal Spanish lessons, but for now any effort to speak Spanish with the locals I encounter is a learning experience. 3. Be careful about how “excited” you get. One memorable Spanish-only encounter was with Jorge, the driver who picked me up from the airport and brought me TripOn Open House Hostel in San Jose. He was waiting at the other side of customs with my name on a sign–what a relief! I greeted him in English and he responded in Spanish that his English is no good. So for the 40-minute car ride, I endeavored to make conversation in Spanish. He talked about his day at the beach with his family that had happened earlier, and I commented on the hills around San Jose and how Chicago is very flat and very cold. At one point, he asked if I was tired because I had yawned. I responded that yes, I was tired because I couldn’t sleep the night before due to excitement. However, I couldn’t remember the word for “excited,” so I went to Google Translate and came up with excitado. I formed my sentence (with a lot of help with verb conjugation from Jorge) and finished with the cognate. He nodded with understanding and, feeling accomplished, I sat back to formulate my next thought. However, moments later, Jorge cleared his throat and explained very delicately that, in Spanish, excitado is a word that is used more to describe sexual arousal and less to describe the child-like excitement that I had intended. He offered a few substitute words (feliz and adrenalina) that better conveyed my thought. My cheeks turned bright red, but I laughed it off and thanked him for his guidance. After all, this is how learning occurs. Plus better to make that mistake with a friendly face than someone who might misinterpret it! 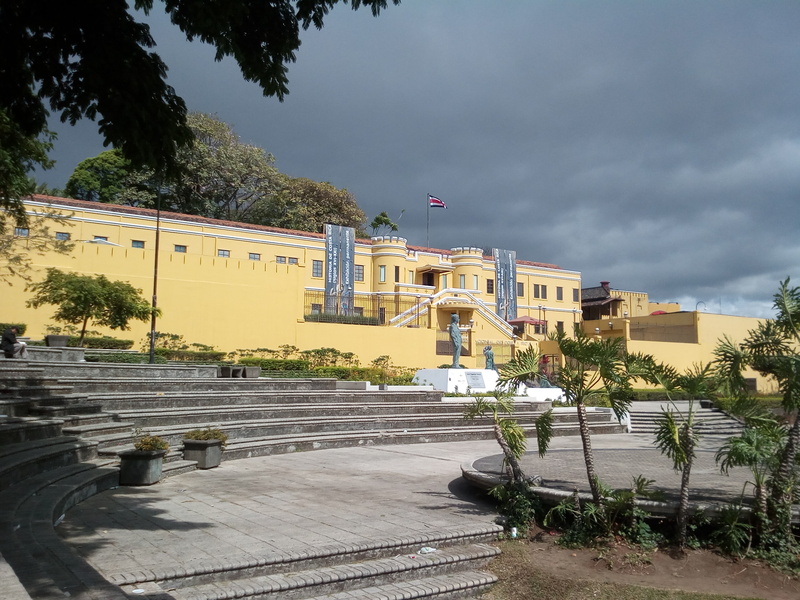 Not a soul to be seen around the Costa Rican National Museum due to Holy Week. 4. Check the (local) calendar first. Indonesia has Idul Fitri, the days of celebrations after Ramadan. Thailand has Songkran, the 3-day water fight/New Year celebration in April. The US has the week between Christmas and New Year’s Day. And all of Central America has Semana Santa, or Holy Week, which is the week before Easter. When did I decide to fly to Costa Rica? You guessed it: right in the middle of Holy Week. On Wednesday, my first full day, I was able to join a free walking tour and see a lot of San Jose. This was fortunate because the following days (Maundy Thursday and Good Friday) are national holidays and everything is closed: malls, movie theaters, markets, museums, everything. All the locals in San Jose head to the beaches and the city becomes a veritable ghost town. I asked a receptionist at the hostel I was staying at about possibly booking a tour for Friday, and he just laughed. Silly tourists and their silly notions! So I did not go inside any of the museums or eat at any of the vegetarian restaurants that I found online because everything, with few exceptions, was closed. 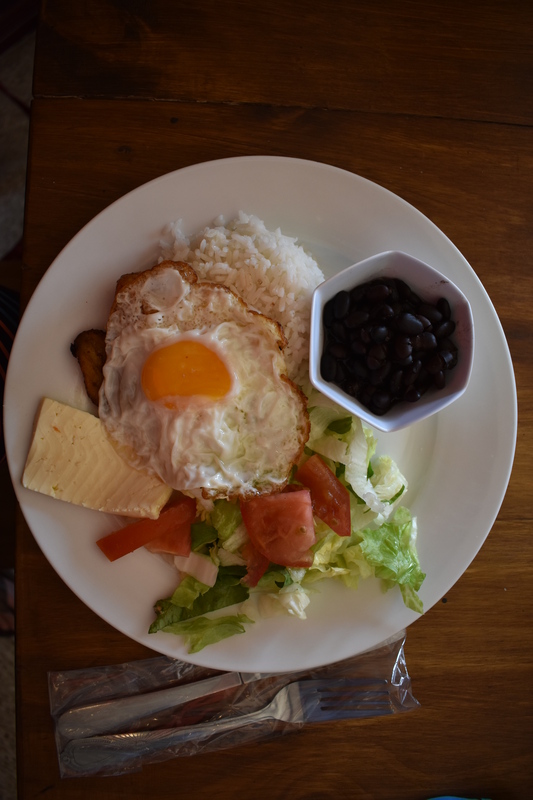 My first official meal in Costa Rica is likely to remain my cheapest: 2,500 colones ($4,500) for all this plus a drink. Before my next trip, I’ll be sure to check the local calendar first. One of the biggest surprises for me in Costa Rica is how expensive everything is. Perhaps I’ve been spoiled by years of living in Southeast Asia, where cost of living is uniformly low. In Costa Rica, many goods found in the supermarket are the same price as in the States, if not more expensive. Food is also expensive: the first meal I intended to eat in San Jose was $10. I said no thanks and found a place to eat for $4.50. Now that’s not a lot by American standards, but for someone who was expecting a decent meal to cost $1-3 based on my experience in Asia, it was a shock to the system. Now that I am settling into a more permanent location, I’ll be able to live on the cheap since transportation and accommodations are not part of my daily budget, and I am able to buy local groceries that add up to only a couple dollars a day. But when it comes time to do some more traveling in Costa Rica, I’ll have to brace my wallet prior to exploring. 6. Don’t skimp on the sunblock. Since I brought only two 3 oz bottles of sunblock, I used it sparingly on a walking tour the first day. Little did I know that the walking tour would last five hours and be almost entirely outside. Oops! The backs of my shoulders and the tops of my feet were a little crispy after that. They’re still a little red but should turn into a tan in no time. Costa Rica is at the peak of the dry season, meaning that there are sunshine and blue skies as far as the eye can see all day, every day. Fortunately, the two grocery stores in town both sell a variety of sunblock, no doubt catering to the steady stream of tourists and encampment of expats in the area. No need to skimp anymore! 7. Patience is a virtue, especially on public transit. Public transportation is by far the cheapest way to travel in Costa Rica, but it is by no means the fastest. My trip from San Jose involved an Uber ride, followed by a bus, then a ferry, then another bus, then a transfer to another bus (which I bypassed by sharing a taxi), then, at last, the final local bus which only runs twice a day… if the driver feels like it. Buses have flexible schedules, subject to the whims of the driver and the conditions of the road. It requires a lot of patience to navigate the seemingly haphazard schedules, frequent stops, and slow pace of public transit, but it does provide a sense of adventure lacking in the quicker (albeit more expensive) private shuttles and taxis. I made the journey from San Jose to Cabuya with no problems, though. Just smile, and know that you’ll get where you’re going… eventually. 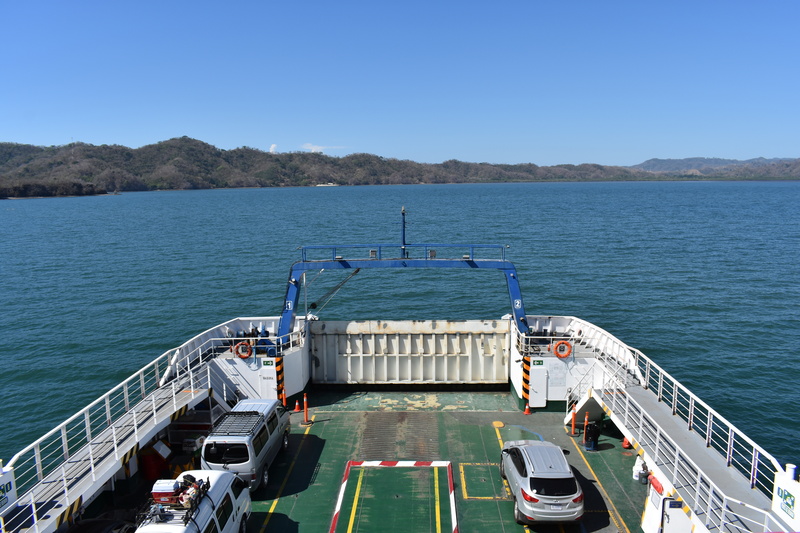 The Nicoya peninsula is visible on the horizon. I’ll be calling these hilly, dry forests home for the next couple of months. Thanks for sharing Kelly. Too funny the misinterpretation of Spanish words…no doubt you will be fluent soon. I am wondering what kind of work you are doing and what animals you are seeing. Stay safe and slather on the sun block! Well, at least there was a SOLE soul at CRNM plaza. We miss you, Kelly!